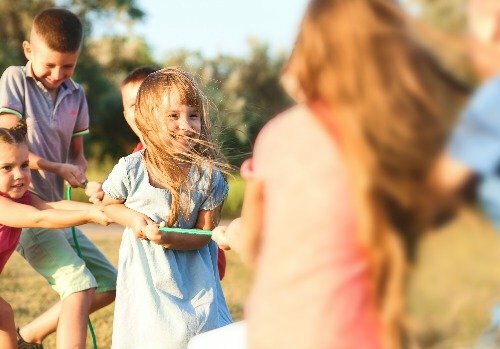 Blend education and relaxation with this itinerary for the whole family. You'll explore the streets and archaeological sites of Athens with interactive tours and hands-on experiences. Then, head to coastal Nafplio for some shore time and a glimpse into Greek agriculture that can be enjoyed by travelers of any age. Check out the views of the can't-miss Parthenon. (Pro tip: The Parthenon is the temple, the Acropolis is the hill.) This temple to Athena has enchanted visitors since its construction was completed in 438 BC. It's probably the first thing that comes to your mind when you think of ancient Greece and is visible from many of the city's high points. Stop at the sprawling National Museum for a crash course in ancient iconography. Be sure to seek out the room housing the Antikythera mechanism, essentially an ancient astronomical computer. Visit a smaller archaeological site at the Tower of the Winds, then stroll down neighboring pedestrian Aiolou Street to stop at shops and cafes. Find your perfect souvenir or sun hat in the busy stalls of the Monastiraki flea market. Spend your evening exploring the up-and-coming Pangrati neighborhood or amid the nightlife and mezze of the Psyrri district. Experience the stories of Classical Greece from a new perspective during this interactive session. Start at the Acropolis, where you'll visit the Parthenon and other sites with guides specializing in children's education. Reenact the battle between the gods and giants for control of the world on the lands where it took place. You'll visit the National Gardens next, where professional performers will present you with stories of adventure, gods and goddesses, giants, and more in the shadow of the archaeological site. In addition to the stories, the games will also continue, including weaving while hearing about Athena's loom, a puzzle challenge that represents the contest between Athena and Poseidon for the heart of the Athenian people (guess who won), and more. Visit the Plaka neighborhood after the curtain goes down, also known as the neighborhood of the gods. 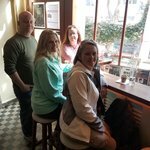 As the oldest neighborhood in Athens, Plaka is home to neoclassical homes rubbing shoulders with outdoor tables lining the streets. Feast on Greek favorites such as the classic horiatiki salad, souvlaki, lamb dishes, and more. Go mezze-style to try them all. 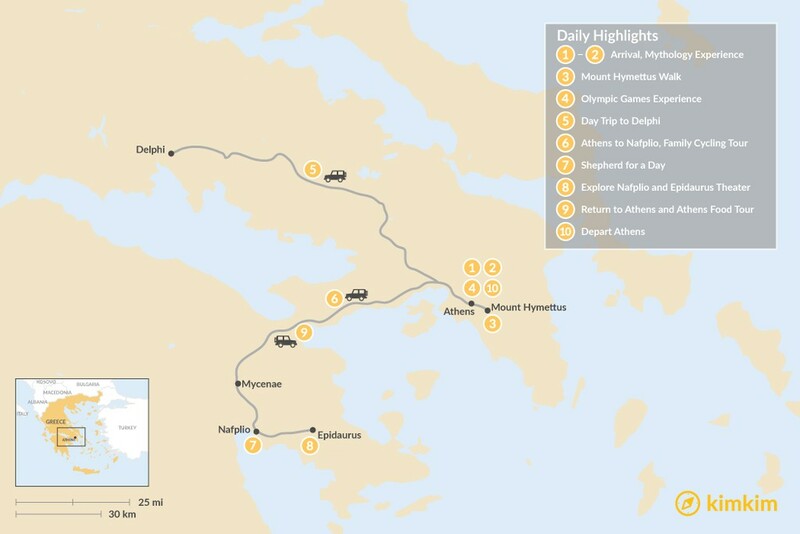 See the natural Greek world with today's tour of Mount Hymettus. Located just outside of Athens, the forested slopes of this mountain are popular with Athenians looking to escape to nature or just looking to forage wild herbs for dinner. 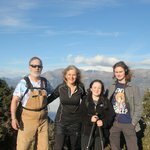 The many plants and animals have stories that go back thousands of years, and your expert guide will tell you as many as they have time for, though with more than 600 species of plants, it's a wide range. 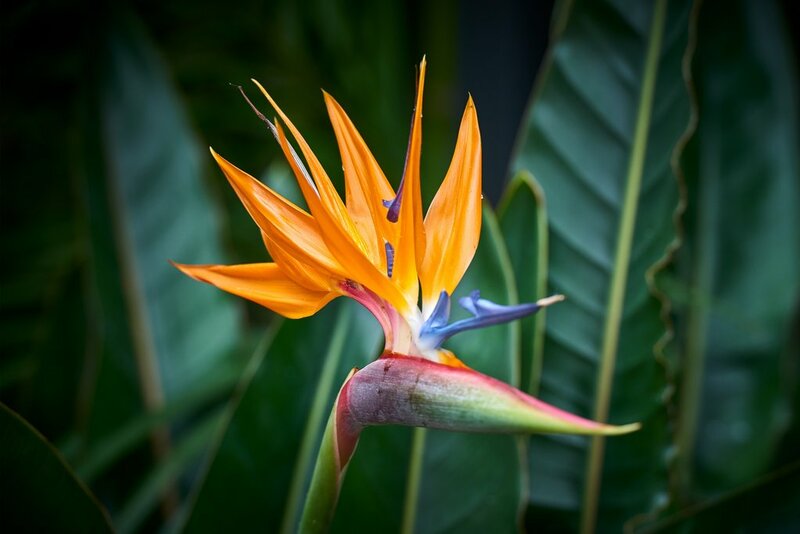 There are myths explaining plant names, characteristics, and properties, along with stories about gods and goddesses, hunters and brave maidens. You'll also visit the Byzantine Kaisariani Monastery, which likely started out as a cult site devoted to Aphrodite before being taken over by Christians. The sixteenth-century wall paintings and ancient atmosphere of this large structure will enhance the sense of time travel to the delight of all ages. Once you return to the city, follow it up with a stroll to the Greek Parliament at Syntagma Square. Linger until the changing of the guard at the top of the hour to catch their highly choreographed routine, complete with tsarouchia pom-pom shoes and the obligatory deadpan expressions. 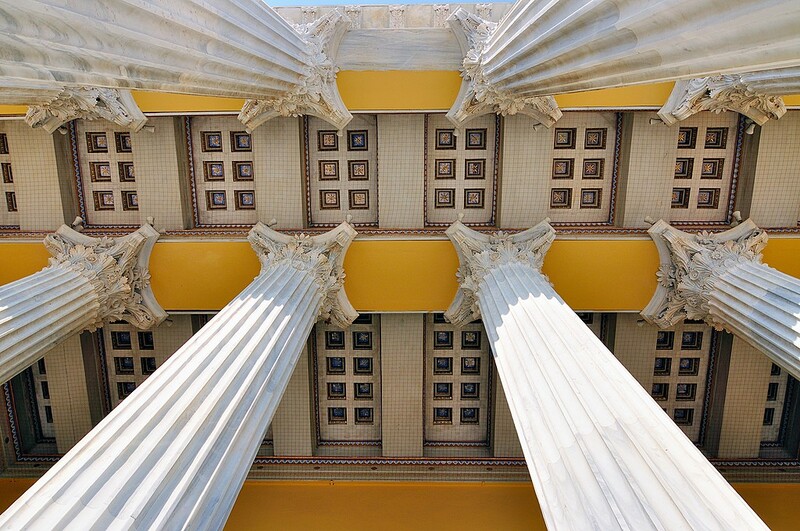 Start off your Olympic experience at the Zappeion, the first building erected specifically for the modern Olympic games. Your guide will teach you the history of this global event in venues connected to actual Olympic events, along with tips on ancient and modern training methods. 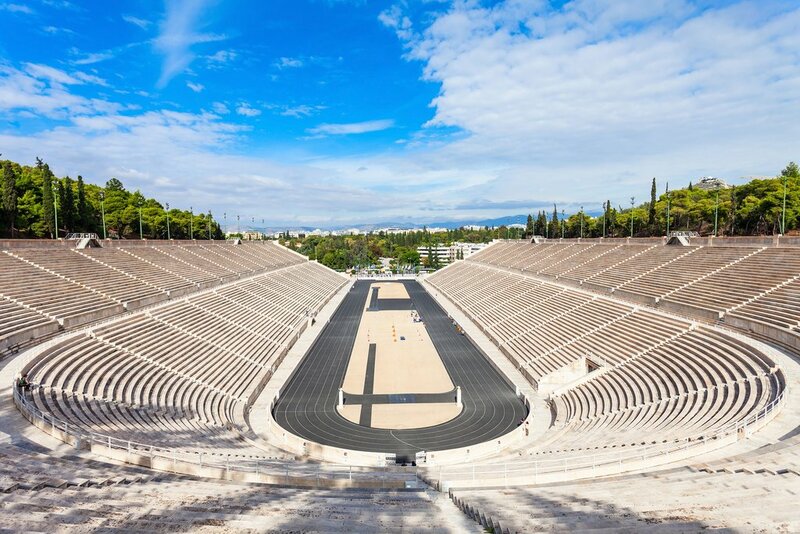 Put them into practice with a race beneath the sweeping stands of Kallimarmaro, also known as the Panathenaic Stadium. The grand facility made entirely of marble was constructed in 1896 to host the first modern Olympics and is made entirely out of marble to honor the ancient stadiums. Pay a visit to nearby Hadrian's Arch, the gateway to the city, on your way out of the stadium. It was built just after the construction of the Temple of Zeus to honor the emperor Hadrian. Made of Pentelic marble, the archway has been standing for nearly 2,000 years. Stroll over to Monastiraki in the evening to sample some of the city's best souvlaki spots. 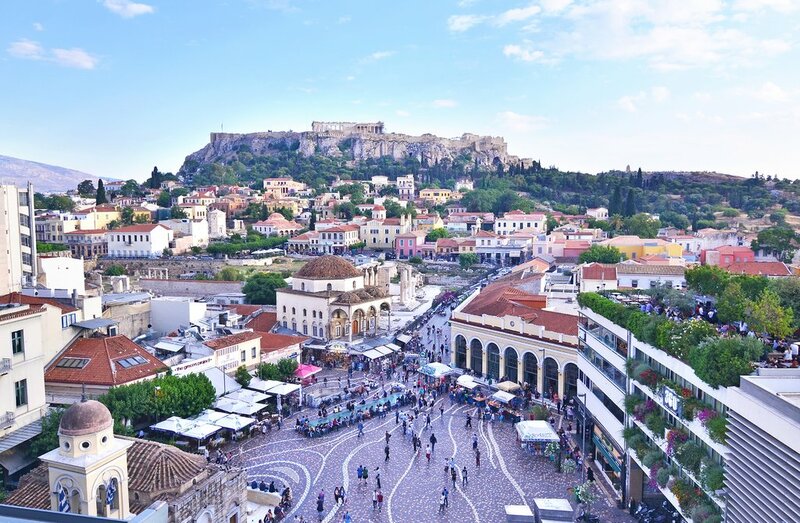 If you'd prefer a more international set of options, the Syntagma neighborhood is for you, where you can find the neo-tavernas of Aiolou Street, street foods, and fresh juices. Sample the loukoumades, fried honey dough balls, to appease your sweet tooth. Today, you'll seek out the oracle during a day trip to the ruins of Delphi, once home to priestesses of Apollo who Ancient Greeks believed could predict the future. 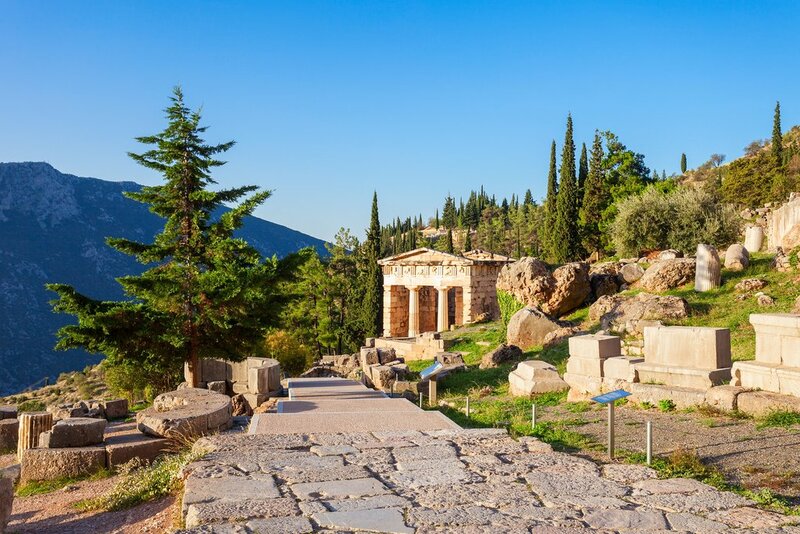 After being transferred from your hotel to Delphi (about 2.5 hours from the city), you'll take a guided tour through this sprawling archaeological site, with stops such as the Treasury of the Athenians, the Temple of Apollo, and expansive theater. 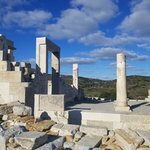 Explore the ruins or venture up an ancient footpath once used by worshippers of the god Pan, who started from the temples of Delphi and proceeded to Corycean Grotto for their religious rites, surrounded by the valley of olive trees and views of the Corinthian Gulf and peaks of the Peloponnese on your way. Outside of the ruins, you'll head to an old town district that used to serve as the leather tanner's district. One of Greece's last bellmakers keeps his workshop here; if you're lucky, he may be on site for a visit. Lunch will be served under the plane trees in the town square, with cheeses, Amfissa olives, and traditional home cooking. Head indoors after lunch to the museum, a short downhill walk away. Wander through its halls to find the bronze Charioteer of Delphi, marble Sphinx of Naxos, and what may be the first recorded notation of a melody once inscribed on the walls of the Athenian Treasury. 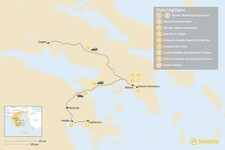 You'll be transferred back to Athens in the late afternoon to rest up or spend the evening out and about in the city. 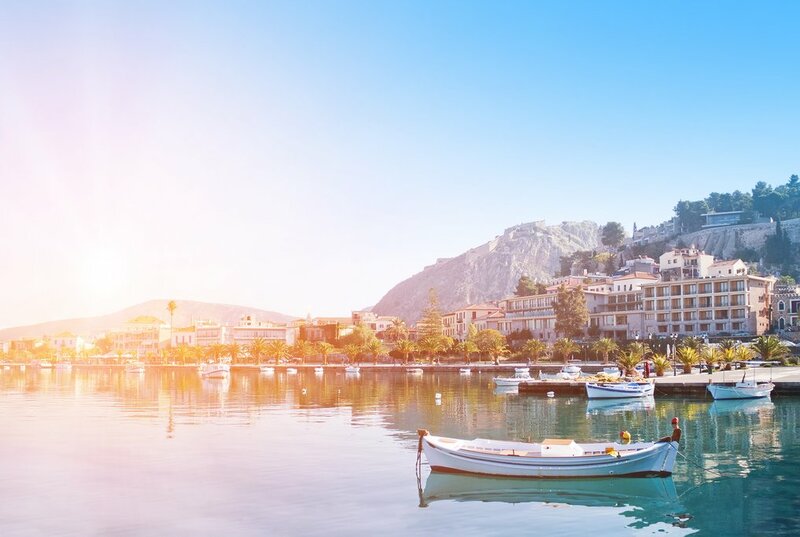 This morning, you'll wrap up your stay in Athens with breakfast before you head to Nafplio, one of the prettiest seaport towns in the Peloponnese peninsula. Once believed to have been founded by the son of Poseidon, the town was the first capital of the new Greek state after the war of independence in the 1800s. Explore the city under the power of two wheels with a cycling tour. A guide will take you past the highlights of the city and stunning views of the Argolic Gulf. You'll ride for roughly 2.5 hours, including some time to stop for a snack whilst enjoying the views, across terrain easy enough for riders of any age. Take a stroll through the old town in the evening, where you'll pass statues honoring significant figures from Nafplio's history alongside Ottoman fountains, and Venetian architecture along its winding streets, topped off by the Bourtzi Castle in the middle of the harbor. Accessible only by boat, the castle was built in the 1470s to defend the city from pirates, and it still keeps watch at the entrance to Nafplio Bay. 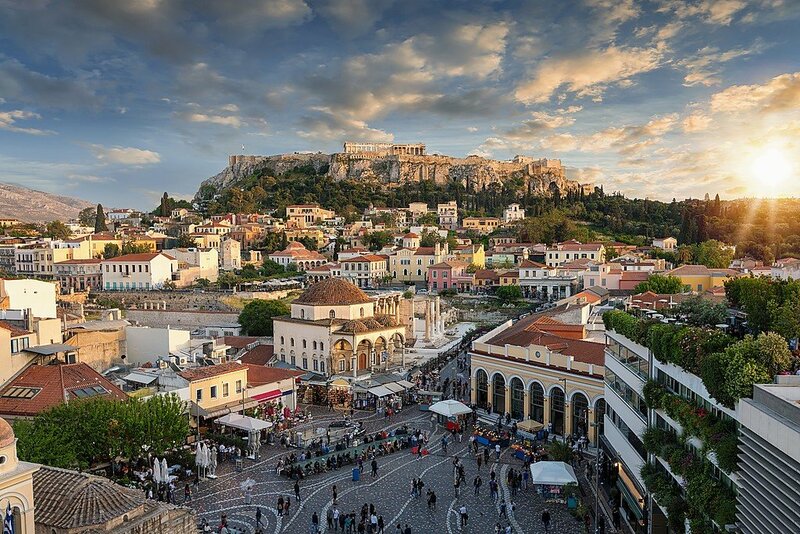 Visit the Vasileos Konstandinou pedestrian street to take you across the old town, ending in Syntagma Square where you can choose between a variety of tavernas for dinner. Get a taste of a simpler life when you become a shepherd for the day on this guided experience. You'll head back into the countryside to visit a local farm, stopping at some area highlights on the way. Once you arrive at the farm, you'll meet both its owners and its more diminutive residents. 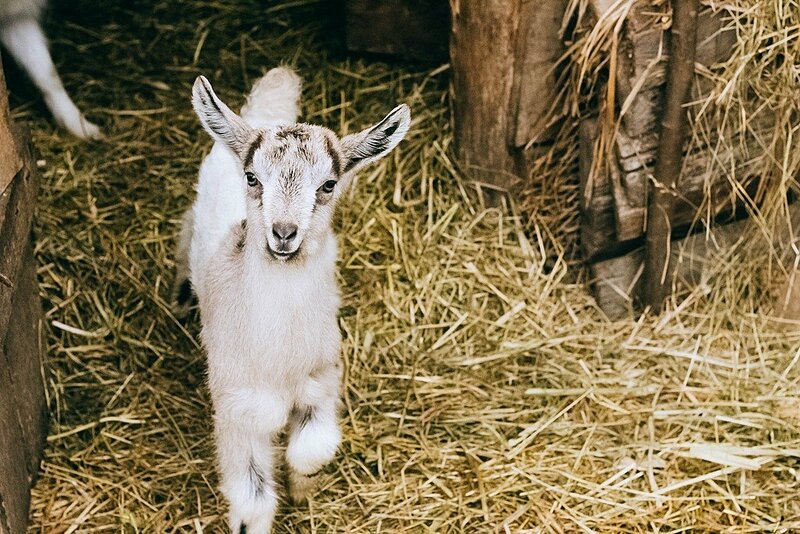 You'll get to experience aspects of life around the farm, milk the goats and sheep, and even try to play the shepherd's flute. Chat with the owners over coffee and dessert about what you've learned. You'll finish with a tour of the nearby area, where you'll learn about Greek herbs and other plants and animals. For your next food experience at dinner, go for the gkogkes. This traditional regional pasta is shaped like a seashell and most frequently topped with local cheese and hot oil. Or grab some Corinth raisins for a taste of Greece to snack on during the rest of your travels. Take the morning to relax and explore peaceful Nafplio at your own pace, perhaps lingering over a coffee and Greek yogurt or pastry. If you're feeling active and haven't climbed the Palamidi Castle yet, now is the perfect day to do so. In the afternoon, you'll set out for a full theater experience that will provide you with a thorough understanding of the world of ancient Greek plays. 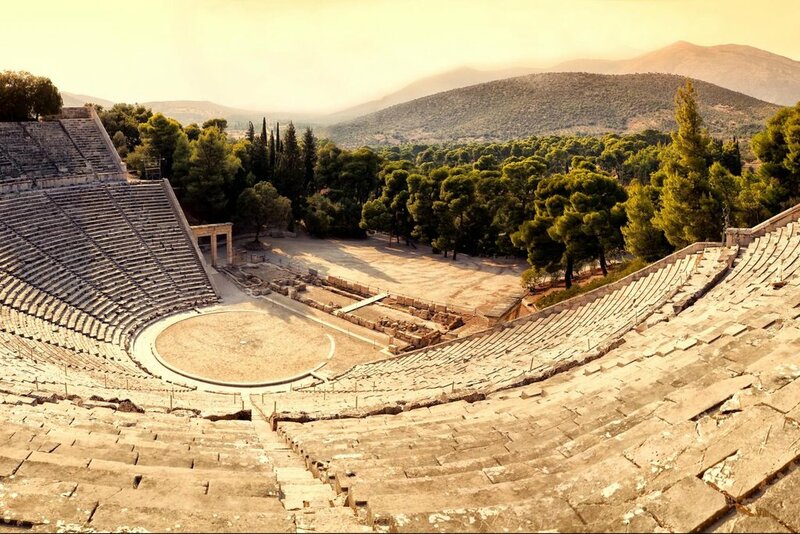 On a guided tour, you'll visit the real-life location where the action of an ancient play took place, before viewing the play itself (with English subtitles, of course) in the third-century BCE theater of Epidaurus, one of the best remaining examples of its type due to the excellent acoustics and aesthetic arrangement. Learn the connection between the works of Aristophanes and the Ancient Cemetery of Keramikos, Aeschylus, and Mycenae, or Electra and the city of Argos with this immersive outing. In the morning, you'll head back to Athens. 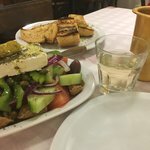 Once you get settled in at your hotel, meet your guide in Syntagma Square to start sampling the best of what the city's street food stalls have to offer. 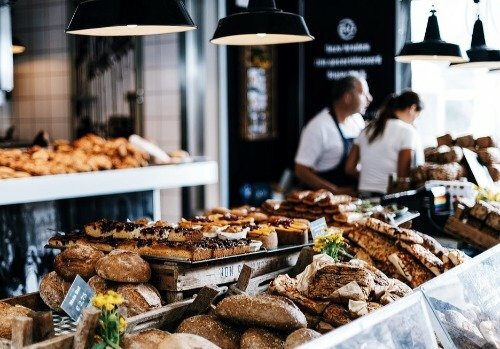 You'll learn about the Mediterranean diet and its potential benefits while strolling the city streets in neighborhoods you may not have discovered yet and bustling open-air markets. Venture into the Varvakios Market, the largest and most popular fish, meat, and vegetable market in the city, and explore the city's main spice street. Sample olive oils, honey, cheeses from around the country, cured meats, olives, and more. Everything from baklava to souvlaki is available to appeal to even the pickiest eaters. 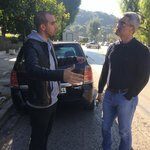 If you haven't had your fill of adventuring during the afternoon, spend your evening in the Koukaki neighborhood. This area's off-the-beaten-path wine bars will introduce you to a wide selection of Greek wines amid friendly crowds, or if you're with the whole family a selection of great local restaurants await. Time to say farewell to Greece. Enjoy your final Athenian breakfast and sneak in some last-minute exploring before your transfer to the airport. How Many Days Should You Spend in Greece?